Georgetown Real Estate Properties for Sale MLS Listings - Crowley Real Estate Associates Inc. Displayed below is an index of available Georgetown Real Estate Properties currently offered for sale. Click on the property photo or the address for each individual Georgetown property full details, satellite map of the location and all amenities. For a more detailed & refined search of all Georgetown Real Estate Properties on the Multiple Listing Service (MLS) consider using the detailed search page located here: "Detailed Georgetown Real Estate Properties search." 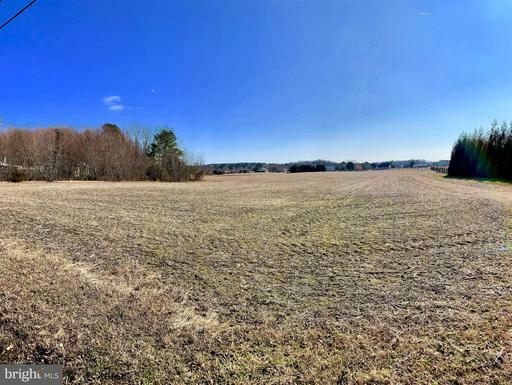 51+/- Acres of prime developable land in Georgetown's Western Development Area near Delaware Technical Community College. Previously approved (but expired) for a 136 unit development. The property has sewer and water available within close proximity and could be developed in many different ways. Located close to Route 113 and Route 18/404, that makes for an easy commute to anywhere in county. Call for more information today. Vacant lot located on busy County Seat Hwy in Georgetown behind Georgetown Plaza Shopping Center. This 50 acre parcel, was used for a training track for race horses. The property goes from highway to the railroad tracks in the rear. The railroad is not in use . The left of the property joins up with The sports complex. There is water and septic that runs along the rail road to the Sports Complex and a pumping station in the far left corner on the Complex. The house and the barns are rented on a verbal month to month. Large pond in the far back right. Development Opportunity! 12 units per acre! This 38 acre vacant lot is located across from the airport in Georgetown on the corner of Railroad Ave and Airport Road. It is zoned Light Industrial 2. Light Industrial 2 consists of a building or land used for general light industrial, warehousing, and storage uses, including certain open or enclosed storage of products, material and vehicles. A document of permitted uses is included in the supplements. DEVELOPMENT OPPORTUNITY! 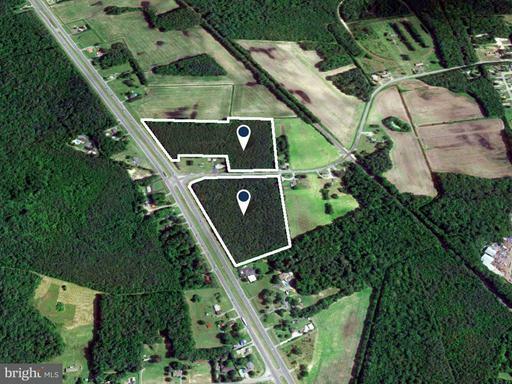 12 units per acre! 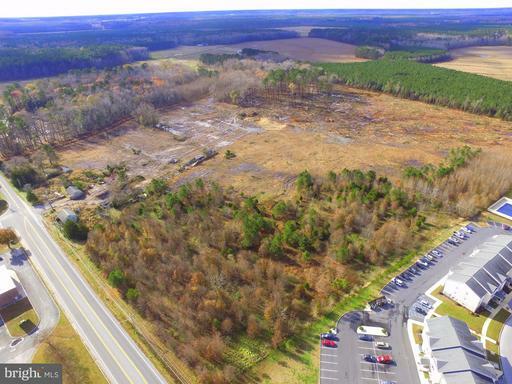 This 38 acre parcel is located across from the airport in Georgetown on the corner of Railroad Ave and Airport Road. It is zoned Light Industrial 2. Light Industrial 2 consists of a building or land used for general light industrial, warehousing, and storage uses, including certain open or enclosed storage of products, material and vehicles. A list of permitted uses is included in the supplements. 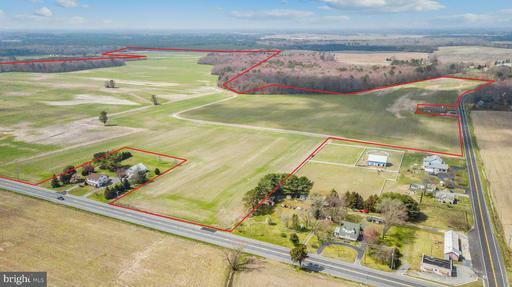 Premier AG farm totaling +/- 203.5 acres including +/- 171 tillable acres and +/- 32 wooded acres in Georgetown, DE. Farm has road frontage on Hardscrabble Road, Shortly Road, Asketum Branch Road, and Bryans Store Road. Property is not encumbered by any conservation programs. GREAT DEVELOPMENT POTENTIAL!!! 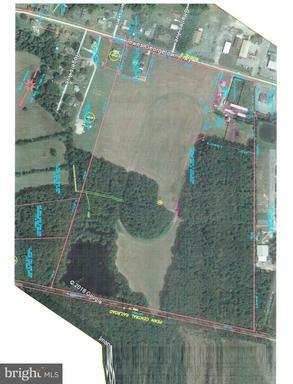 18.85+/- Acres within the Town of Georgetown limits. 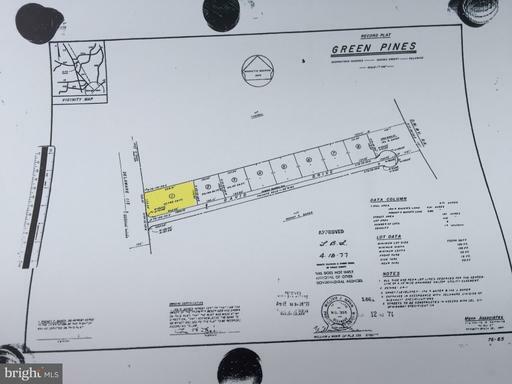 Property has road frontage on RT 9, Little Street, and East Trap Pond Road with previous approval for entrances on both Little Street and East Trap Pond Road. Great location!!!... West on RT 9, less than 1/2 mile from the intersection of RT 9/RT 113. Current Town of Georgetown Zoning UR1/UR3 with RRPC Overlay. Town Sewer and water available. Potential agreement with Chesapeake Utilites for Natural Gas service.